Whatever type of society, school, charity or organisation you are, you need a social networking community website that lets your audience interact, share and engage. Our web design New York use the latest open-source social networking community website content management systems (CMS), allowing us to design and build sites with a wide range of features for less budget than ever before. 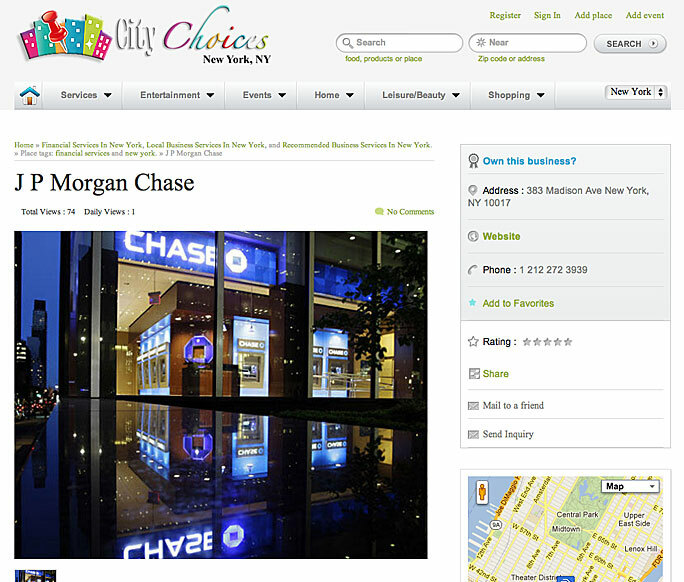 Our website design New York team make sites with multiple groups of users and contributors, each with different access and authoring privileges. And navigating and managing a site that grows as its users interact is made easy with content tagging and publishing approval. Our community sites are friendly too, with Google, Bing, Yahoo and with all major browsers. Plus you get an ‘open-source’ content management system that gives you the freedom to grow your site just how you want it. A social networking community website has to offer unique features to its members that keep them coming back for more. We can easily customize your website and create unique features and a great social environment to your site members. Advance members searching feature. You can then let your members find each other based on various criteria. Admin, may also set the default privacy setting for everyone. Find out more about our ‘open-source’ social networking community website offerings – Contact Us Today! 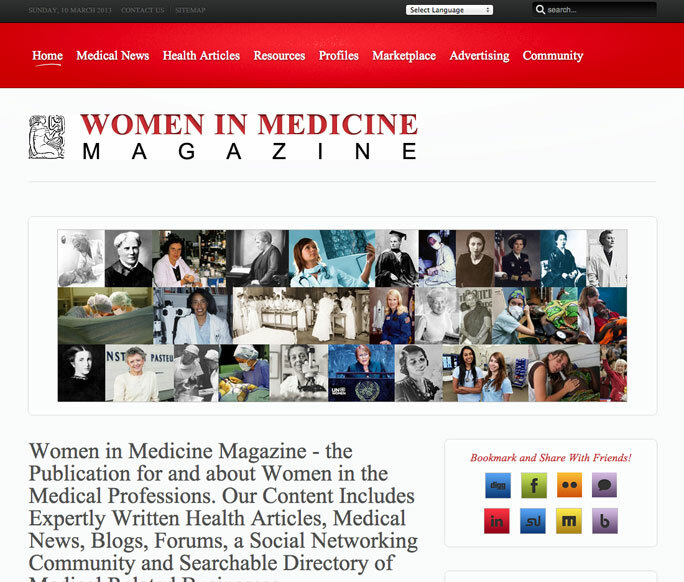 Welcome To Women In Medicine. This site is truly a reflection of its Members, so everyone here is eager for your feedback. Connect, communicate, make friends, share your stories. Membership is FREE! 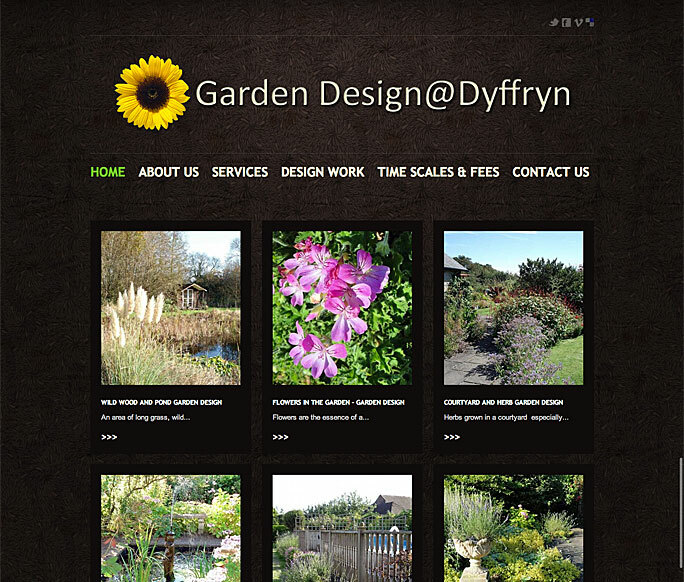 Garden Design@Dyffryn can provide a spectrum of advice from troublesome borders, a new front garden, or a complete redesign of a tired old garden. The website includes many examples of work, so please browse. 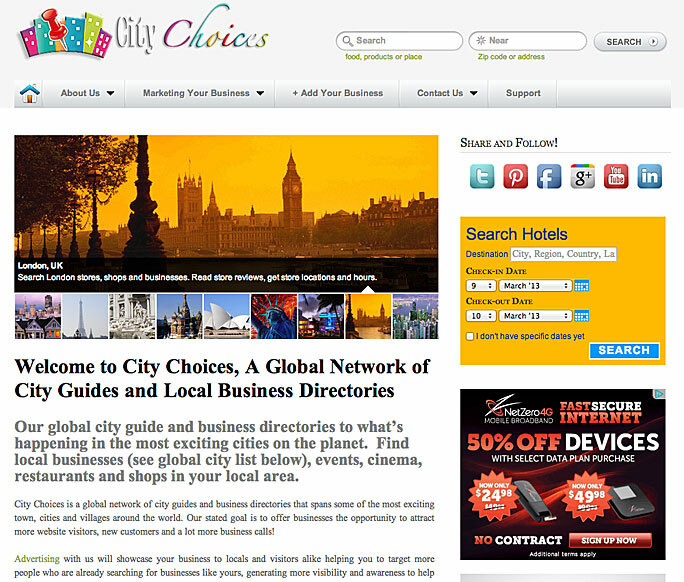 City Choices is a global network of city guides and business directories that spans some of the most exciting towns and cities around the world, helping visitors search for the most popular attractions and more in the local area. Par Excellence is a magazine style website that displays various content: interviews, articles, news, a directory of women business owners, a social networking community, various forms of advertisement and much more. 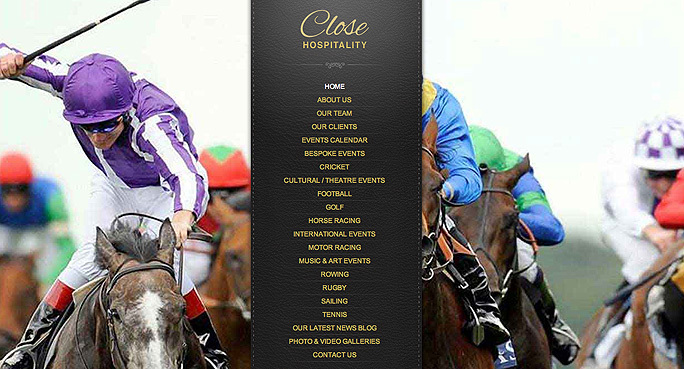 Close Hospitality’s target audience is a very broad pool of business professionals and companies interested in entertaining their customers at high-profile sporting, motor sports and entertainment events. 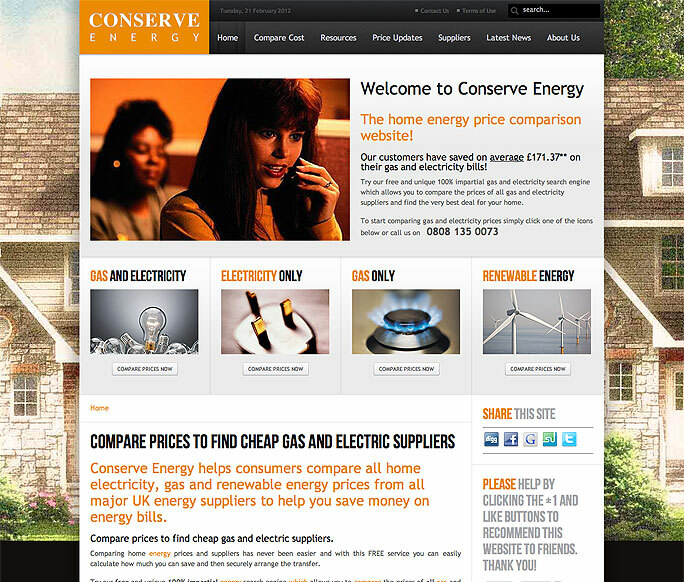 Conserve Energy came to us as a new company with an intent on establishing a website which would help consumers find cheaper home energy prices. Aside from clean aesthetics there was also a need for a robust CMS. Starting at $595 means that you get your own custom designed website, a free registered yourwebsite.com domain, hosting service, (include a Content Management System at a slightly higher but affordable price so you can update your own site) + a Google SEO package worth $300 with any package at no extra cost! Contact our website design studio in New York to receive a Free consultation for your website design, website development and search engine optimization requirements. Also learn more about our Pre-Packaged Website Design Packages.